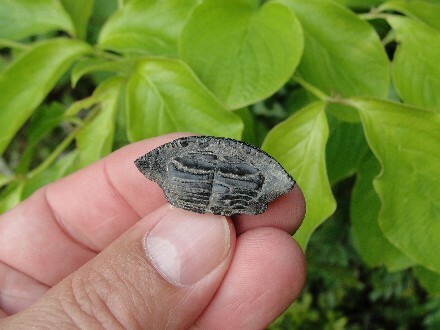 This is a jet black Fossil Puffer Fish Mouth Plate. 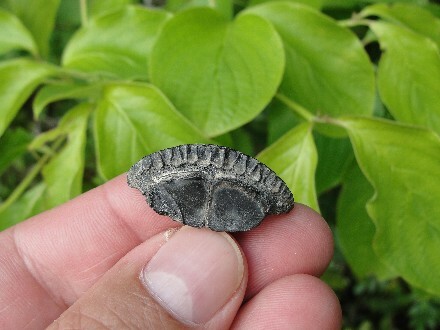 Nice, clean, compact, and mineralized fossil mouth plate. 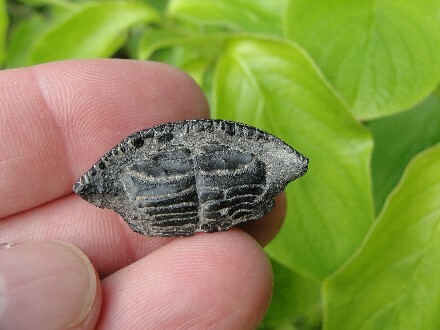 Very solid and heavy duty fossil tooth. 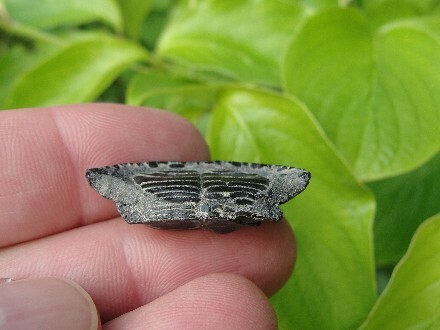 There are no repairs or restorations on this fossil mouth plate. Actual Specimen Pictured & Guaranteed Authentic. When the Porcupine Fish (Spiny Puffer Fish) is threatened, it puffs up to twice its size and becomes round like a ball by gulping water or air. 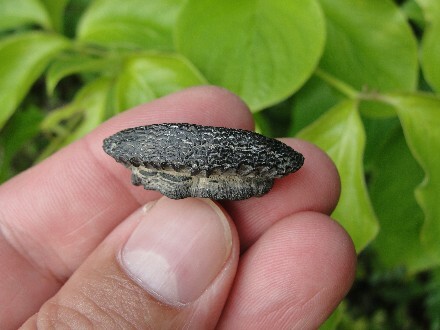 Another defense is the sharp spines which project from its body when puffed up. They have few predators, but are occasionally eaten by Sharks, Orcas and sometimes by Tunas and Dolphins. It is also known by the name of Blow fish, Puffers, Balloon fish, Bubble fish, Globe fish, Burr fishes (Diodontidae), Spiny Box fish, Swell fish, Toad fish and Toadies. 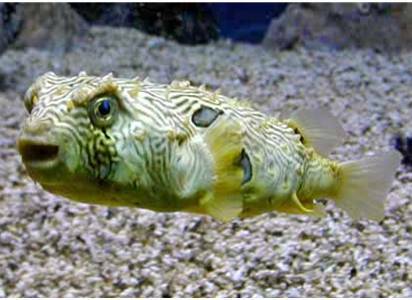 Today, there are over 100 species of Puffer fish. They live in tropical and sub-tropical environments. This saltwater marine fish lives near reefs and is most active at night when hunting for its food. It moves slowly over the sand squirting tiny jets of water to uncover its prey. They eat small crustaceans, Sea Urchins, Corals and different types of echinoderms. Their teeth are fused together into a Parrot-like beak and their crushing mouth plates, on the roof of their mouth, are used to grind and crush hard bodied food like Sea Urchins, Hermit Crabs and other Mollusks. 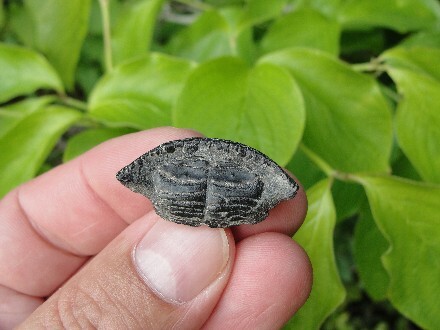 The hard mouth plates of this prehistoric fish fossilize and can be found on certain beaches, rivers and Gulf Shore deposits, in Florida. The ages of these Marine Fish Fossils are about 7 Million Years ago to 11 Thousand Years ago and are from the Miocene to Pleistocene Period.